Researched by Redlynch & District Local History Society. 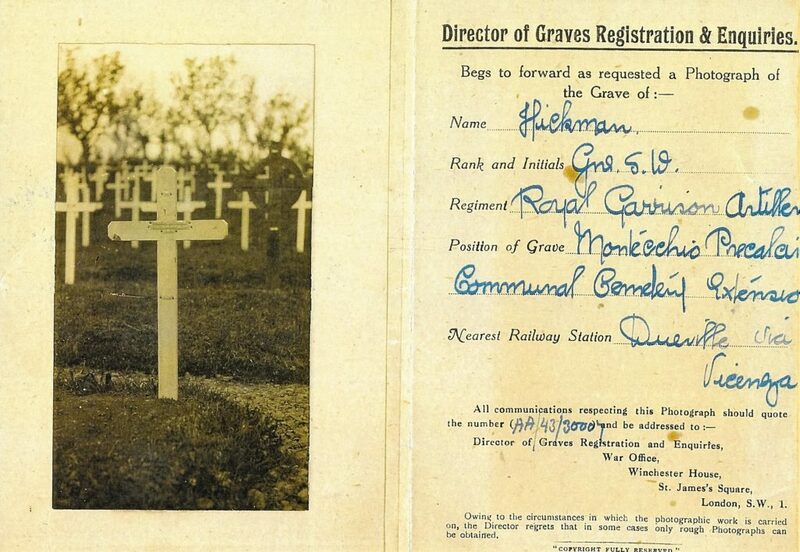 The Hickman family were well known in Redlynch and Woodfalls during WW1. Sidney Hickman was one of seven children born in Redlynch to Walter and Jane Hickman of Highcliffe, Woodfalls. Walter was a grain merchant. Sidney farmed at Ridge Farm Woodfalls. He was married to Winifred Emma Thorne and according to the 1911 census had three children, Harry (9 years), Cyril (8 years) and Winifred (3years). 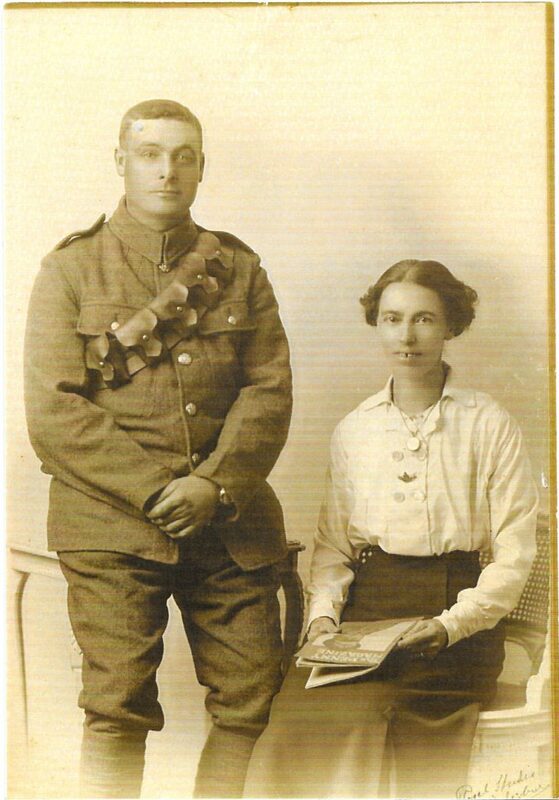 He was a gunner with the Royal Garrison Artillery and had enlisted at Salisbury in 1915. 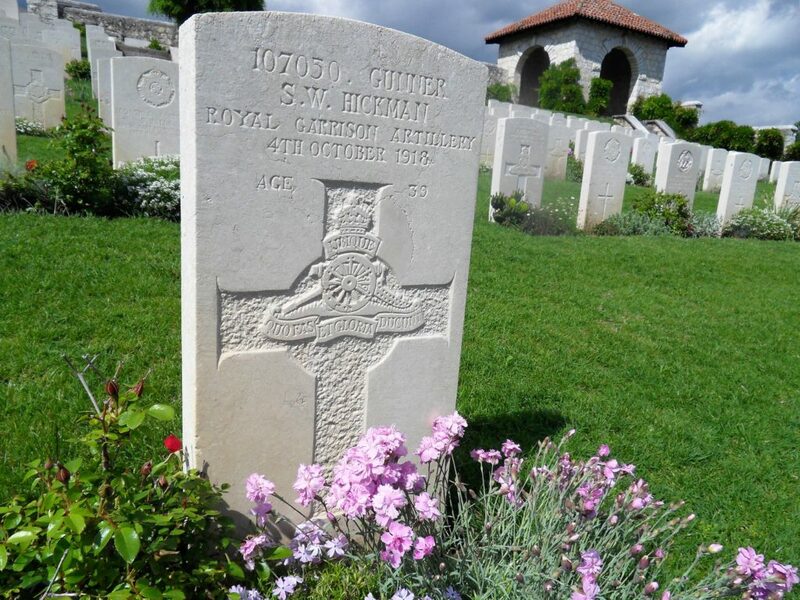 He died in Italy on the 4th October 1918 of pneumonia; he was 39 years old. He was buried at Montecchio Precalcino Communal Cemetery Extension, Italy. His brother Garnet also served in the Great War, in the Devonshire Regiment and survived. He was a corn merchant and farmer and lived on The Ridge with his wife Ida. (Information from ‘Rank on Rank’ by Pat Millington, Census 1911 and online military records. Photograph from the late Peter Hickman).